Seeing as how Oprah just released her favorite things 2018, I figured I can do the same. 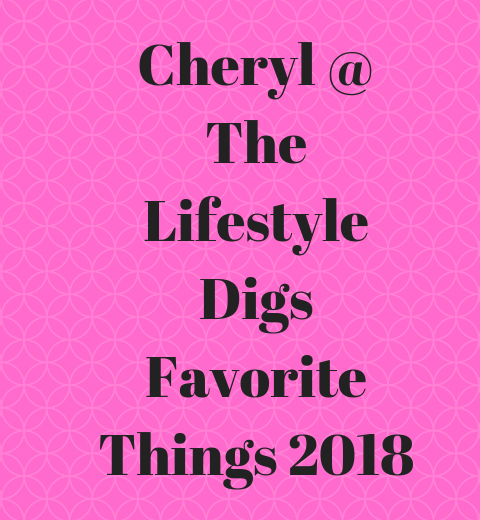 Mine will be Cheryl @ The Lifestyle Digs Favorite Things 2018. Are you an Oprah fan? I know who Oprah is. I’ve seen her show a handful of times. It used to be on in the afternoon. Pretty hard for us working girls to catch it, but on holidays I watched it occasionally. I didn’t know Oprah puts out a list of favorite things, but I’m guessing this is an annual thing. I read her list of favorite things and also read the comments. They seem to go along the lines of “Get real Oprah. We can’t afford these things.” Yeah, really, Oprah. $180 for popcorn? My clue that Oprah puts a list out like this on an annual basis is some of the comments said they liked her lists better when they included affordable items! My list won’t be as extensive as Oprah’s and maybe I’ll just revamp this list each year now that the seed has been planted. My list are things that I use around the house, clothes I wear, and some things that make life a little easier for me. Unfortunately, a couple of items are on the pricey side, but they’re my favorite things and gives you a little more insight into my life. 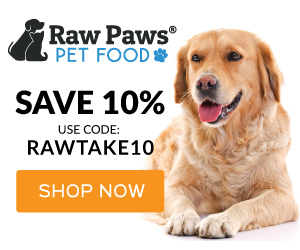 Disclosure: this post does include affiliate links. If you click, you’ll be taken to another website, and if you make a purchase, I’ll receive a small commission for the referral. A few things that make my life a little easier or more fun in the kitchen. Yeah, I jumped on the Instant Pot wagon and it does make my life easier. I bought one because I’d been looking at replacing my rice cooker. A new rice cooker costs nearly the same as an Instant Pot – which has a rice cooker option! Bonus! My recommendation? Wait until Black Friday when the Instant Pot notoriously goes on sale each year. The one I purchased is above. A couple of other companies have come out with digital pressure cookers at lower prices. The links are below for you to check out as options, but I don’t have personal experience using them. If you love donuts but are concerned about fried foods and want a healthier option, baking them in the oven is the way to go! 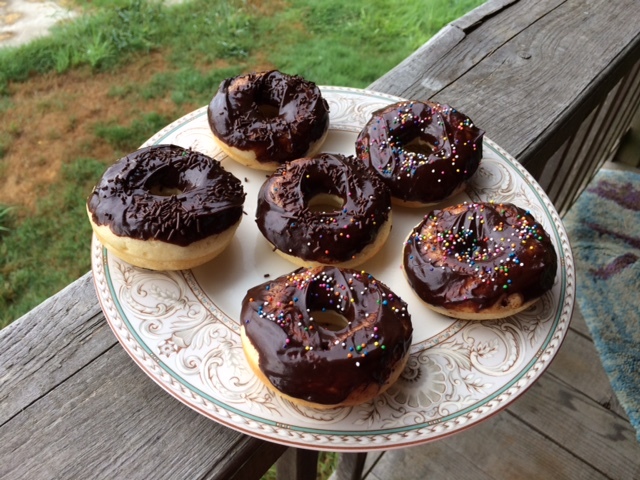 I have a two pack from Wilton, but most recipes I use are for 6 donuts, so I rarely bake more than that. I love my iced tea! I drink it all year long. My biggest beef with the Mr. Coffee Iced Tea Maker is they don’t sell it in Canada! That’s OK. I can either buy it when I’m on vacation in the states or online. The price has been around $20 for twenty years now. I replace them every few years. The plastic part on the lid wears out after a few years of constant use, or the tea basket gets too stained. It keeps on ticking though. Check out my post on how to make iced tea in the Mr. Coffee Iced Tea Maker. I have a few items that I wear that are really comfortable and pretty much part of everyday living for me. I recommend giving them a try! 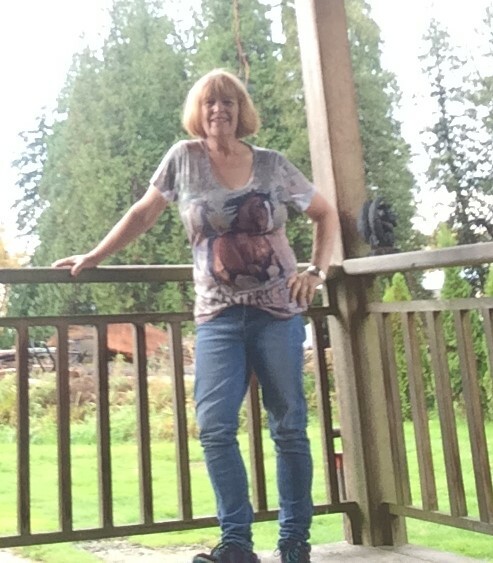 If you look on Amazon, you’ll find Ariat Fatbaby boots all over the pricing spectrum which is why I recommend going directly to a Western clothing supply shop or even a horse and tack shop. Embrace your inner cowgirl in Fatbaby boots and you’ll never want to take them off. Right now the best price I can find is at HorseLoverz. and they’re just over $100. Click the above picture to be taken to HorseLoverz. I got my first pair of Roper runners in 2001. I’ve always been the running shoes cowgirl. These are cute little shoes with a kiltie on the front, picture of running horses on the tongue, and the sole has horseshoes. To tell you how good these Ropers are, I’m still wearing the ones I bought over 15 years ago! They are well broken in! They have a little heel on them that makes them safe for horseback riding and they’re great for walking the dogs or hiking in the woods. My original pair has a bit of the stitching worn loose in a seam, so if the shoes get wet, so do my socks! I know someone who has problems with their arches and bought a pair of Roper Horseshoes. He said they’re the most comfortable shoe he’s ever worn. I just bought another pair. Anyway, these ones are just under $100, If you can buy a pair of shoes and still wear them 17 years later, I’d say that’s pretty good bang for your buck. The price for these Levi’s skinny jeans varies a bit depending on your size. They help slim your tummy, so that’s a bonus for those of us who suffer from muffin top. Levi’s slimming skinny jean is very similar. There’s a bit of stretch to these jeans which is nice not to have them leaving an imprint on your stomach. Real jeans for real women. For women whose weight is in flux, the best belt I’ve found is this No Show elastic stretch belt. It’s adjustable, like a seat belt thing, and says it goes from size 0 to 14. I’ve tried several similar belts and I find they’re either too skinny to hold up jeans, they fold over on themselves, or they get dirty. This one is a great price and if you’re dieting and finding your pants getting looser (yay!) this amazing little belt can be adjusted and does a great job of keeping your pants up. I like belts that move with me and don’t cinch me. It’s also nice not to have belt imprint belly! Not that I was planning to do boudoir shots…. I live in a very small space. I pretty much have to walk out of my bedroom to change my mind! The best jammies I have are fleece with horse prints. I bought them over 10 years ago when I spotted them on sale for $29. They were listed at either $109 or $119 and I sure love when I get a deal. I bought two pairs. Good thing too because they don’t make them anymore. That’s the thing with pajamas. Styles constantly change. It seems the only way to get pajamas you really like these days is to search for them online. This time of year, some of these online pajama sellers have pop up shops in the malls. Here today. Gone by New Year’s Eve. You can find a lot of unique sleepwear. 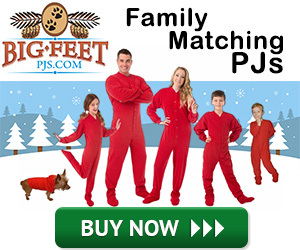 Fleece onesies with feet in them and back flaps seem to be all the rage this time of year. 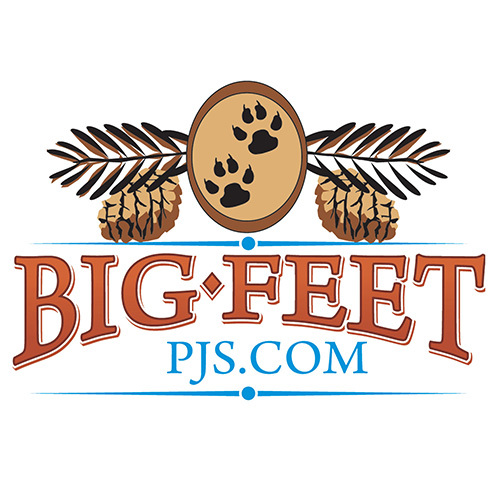 You might just find what you’re looking for at Big Feet PJs. 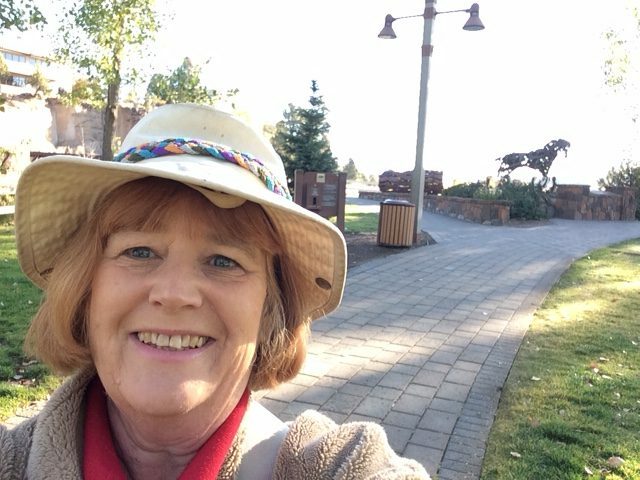 Here are a few things that help make my life a little easier or a little nicer. After 10 plus years I decided I needed a new towel set. Actually I’ve been thinking about that new towel set for at least two years. Sometimes it just takes me awhile to get going. Confessions of a procrastinator! The last towel set I bought from JC Penny, a really nice Egyptian blend. And of course, like many things I really like – they discontinued it. I finally settled on a 6 piece towel set made by Pinzon. I got the plum, but they have different colors. Reasonably priced and they’re soft and plush. Absorbent, doing a good job. I did notice a loose thread on a hand towel, so the jury is still out whether they’ll last as long as my last set (which has now been designated for cleaning supplies). You can’t beat the price for the quality. Dealing with hot summer nights, I started looking around for a comforter that would be more comfortable than the one I was using. I found a good buy on a popular Amazon choice. It’s an all-season down alternative in a variety of colors. I chose dusty orange. I’m not sure why I chose that. I think it was the nicest color that I was hoping wouldn’t show a lot of dog dirt and hair. I still didn’t find it keeping me cool as I’d like in the summer, but easing into the Autumn weather I still haven’t had to bring out my heavier comforter. This comforter and a fleece blanket combo are keeping me toasty at night. One of my dogs also likes this comforter and bit a chunk out of it. When I’m out, this dog gets up on the bed, which is another reason I keep a fleece blanket on top. She pawed the fleece around to reveal the comforter and then snacked on it. Darned dog! I have the cutest hot water bottle with a horse head fleece cover. Do you think I can find another one like it for sale on Amazon? No! Remember what I said about things I like being discontinued? 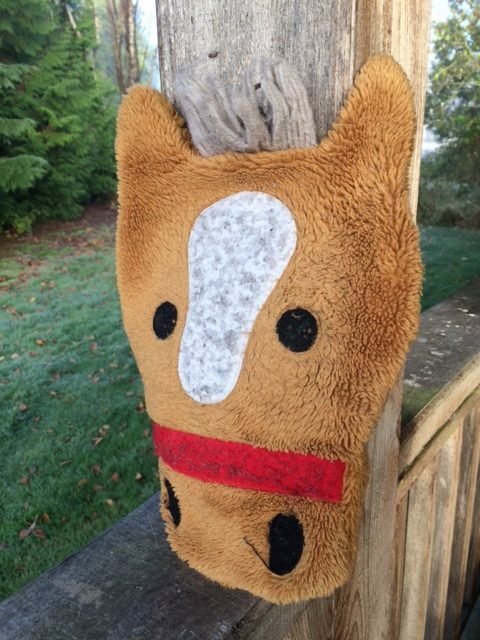 I understand not everyone wants a hot water bottle with a horse themed cover. I found some other cutie pie hot water bottles that are great alternatives. If you have more than one dog to walk at a time, these splitter dog leashes are very handy. It’s easier than hanging onto two dog leashes. It’s one leash and it splits off to two shorter leashes that attach to each dog. 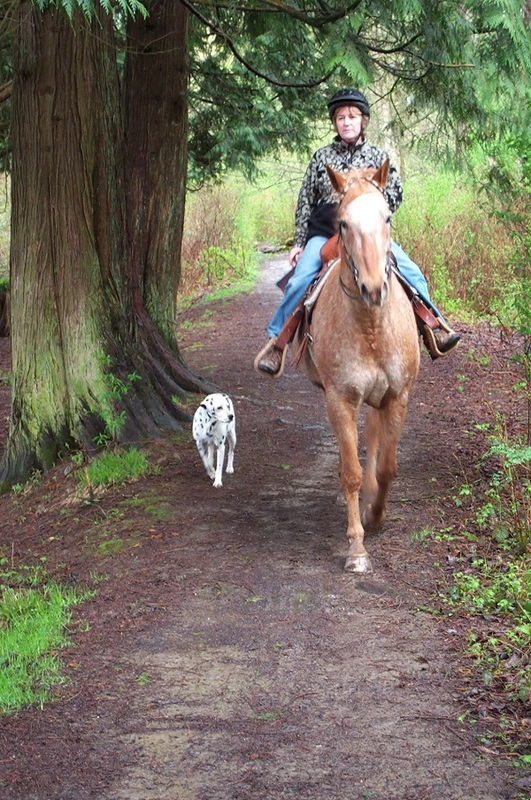 If you have dogs that pull, they pull against each other, and are not pulling the handler. Last year I bought the cutest horse print canvas bag made by Miss Lulu. It comes in other patterns as well, but being a horse lover, was there any doubt what I’d buy? It’s big enough to carry my iPad and roomy enough to pack other things. Inside has a zippered compartment. On the outside there’s a zipper compartment on one side and two pockets on the clasp side. A strap that I usually wear cross body as opposed to slinging over the same side shoulder. Anyway, remember the old discontinued items thing…. Miss Lulu has changed the style of the tote bag, but the available prints are the same. And a great deal for under $20. 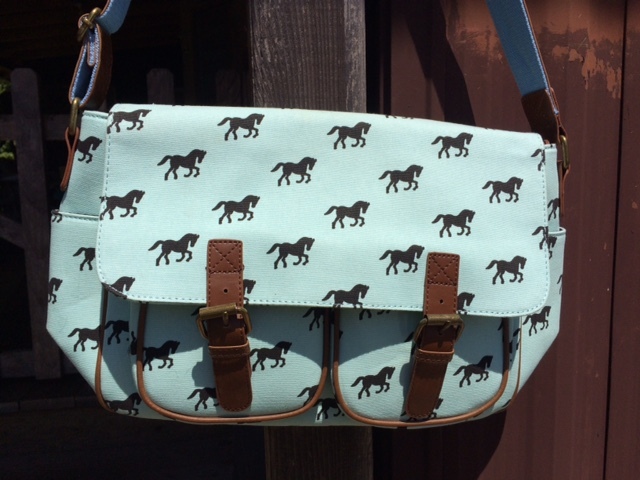 The same style bag that I have is out again with Miss Lulu, but not in a horse print. Owls anyone? Cats? Click the link for the oilcloth prints above. It’s a nice, roomy bag. Do you see those buckles? They’re magnetic fasteners holding them down. Thought you can unbuckle them too if you want. The photo below is the bag I bought the day it arrived. It didn’t stay that clean for long! I’ve always lived somewhere with a washer and dryer or took my laundry over to my (now deceased) parent’s house and used their machine. After becoming single and moving, I now live in a place without laundry facilities. This means I take my clothes to a laundromat at around $10 or over to a generous friend’s house and take her to lunch or dinner as a thank you. After more than a year of doing this, I researched portable washing machines for people who live in small spaces, and bought one from Amazon! It saves me time and money. Though I don’t begrudge buying my friend a meal and spending time with her. I’m saying it saves money if a person has no alternative than to regularly use a laundromat. The Whitmor clip and drip is an excellent complement to a portable washing machine. I clip my socks and underwear on it and then hang it on the shower rod. If it’s a warm day, I’ll hang it on a hook on my sundeck. Using this clip and drip, it frees up room on my clothesline for the rest of my laundry. Just for fun, read my post on how you can’t hang your undies on the balcony in Spain. I use a Canon Rebel t6s. I didn’t find one for a good price on Amazon, but I did see a package deal for the similar Rebel t6i at a decent price if you’re in the market for a new camera. 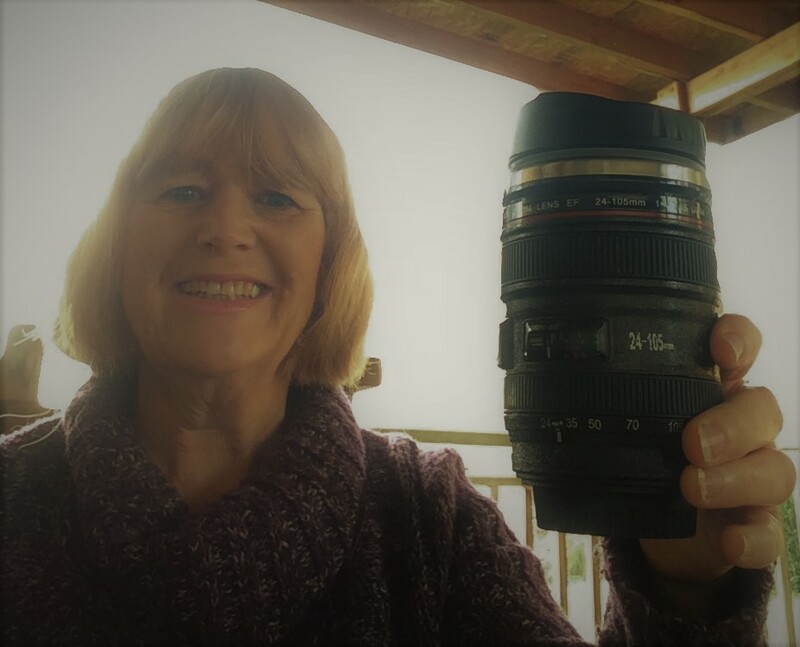 If you’re a camera enthusiast, or looking for a gift for one, this cute travel mug that looks like a Canon camera lens is perfect. It is so realistic I’m nearly always doing a double take to make sure it’s not my lens! It’s not a huge travel thermos type of mug. It doesn’t hold a lot of liquid. Consider the size of mug you use at home. That’s about the same amount that will fit in this camera lens mug. It’s perfect for me because that’s about all I want to drink at a time anyway. I use it for tea and to drink water. I find the lid is a little fiddly and takes a few tries to make sure its on correctly, otherwise it might leak. That’s it only fault. Really cute and it attracts attention. A list of my favorite things would only be complete if I include the books I’ve written, all at the fantastic deal of .99¢. You can real the first couple of chapters for free in Amazon’s sneak peak. Try before you buy! 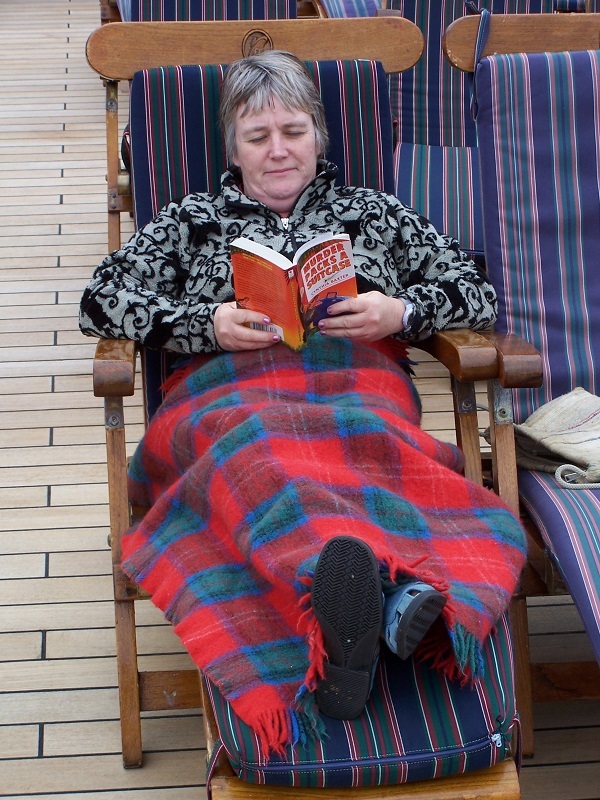 Keep checking my list on Amazon for books I loved reading. So there you have it. The list of Cheryl @ The Lifestyle Digs Favorite Things 2018.